Purple Tongue Press | Your source for wine news, food parings, interviews, and fun along the wine road. I’ve never been much of a Cab and Chardonnay girl. It’s not that I don’t appreciate good ones, it’s just that to me they can seem so ordinary. Maybe it’s because my first wine job was at Bonny Doon Vineyards, a winery that embraced the unusual, and taught me to love Grenache, Syarah, Mourvedre, and even more obscure varietals such as Charbono and Ciliegiolo. 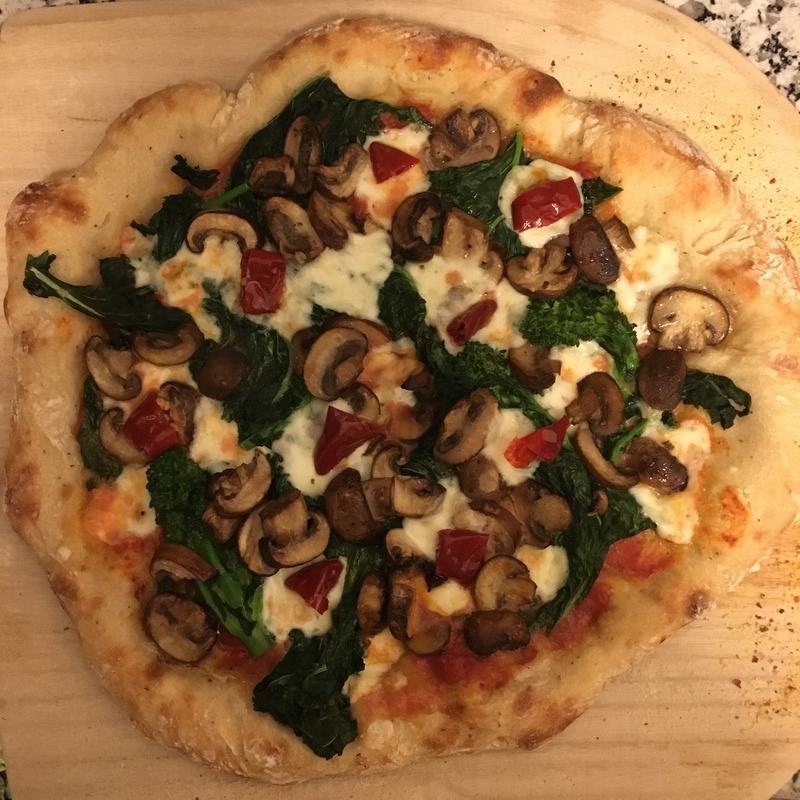 Maybe it’s the former punk rocker in me, but I’ve always preferred uniqueness to something adored by the masses. That’s why I was delighted this weekend by a tasting at Jeff Runquist’s winery in Amador County, where my palate was presented an array of distinctive single varietal offerings including Petite Verdot, Tannat, Charbono, and to my surprise the one grape that can truly call itself red, Alicante Bouschet! 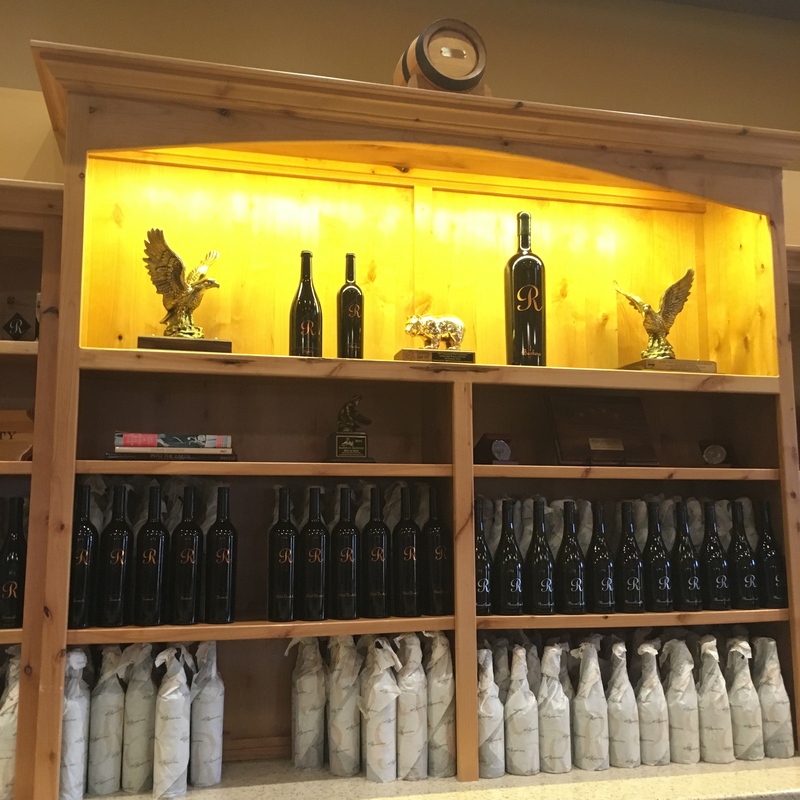 Runquist makes incredible wines, and what makes the journey to his tasting room in Plymouth really exceptional is the rare opportunity to taste the essence of grapes that are traditionally used in blends. 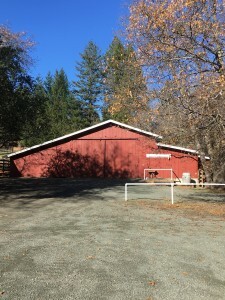 Runquist works with growers throughout California, finding optimal sites to express each grape’s unique personality, and offers numerous bottlings to sample in the tasting room. The tasting room is open Thursday–Monday, and is well worth a trip to try such exclusive wines. This entry was posted in The Wine Road on January 25, 2016 by Kareasa. 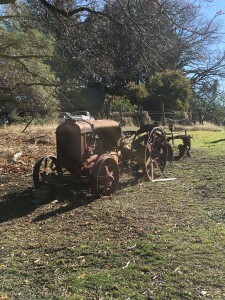 The bucolic, yet tortuous Highway 128 snakes through the sleepy towns of Boonville, Philo, and Navarro—towns known for their slow-paced way of life, and for the cool northerly climate that supports California viticulture at its extremes. 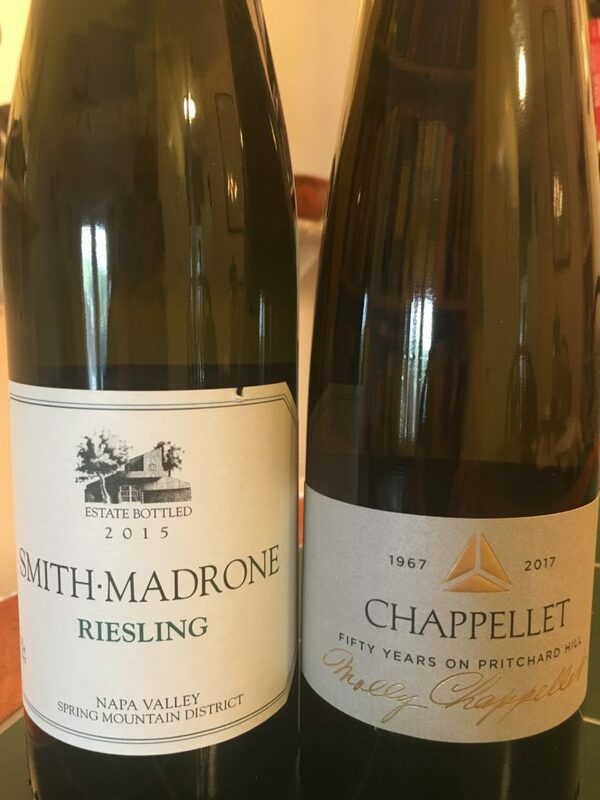 Anderson Valley is perhaps the only California AVA that specializes in the aromatic white wines most commonly associated with Alsace, and the annual Alsace Varietals Festival is a grand affair for showing off the amazing depths these wines can reach in this region and beyond. Low on the radar for most wine connoisseurs, the Alsace Varietals Festival in Anderson Valley is probably one of the most neglected, yet enjoyable tasting events in California. 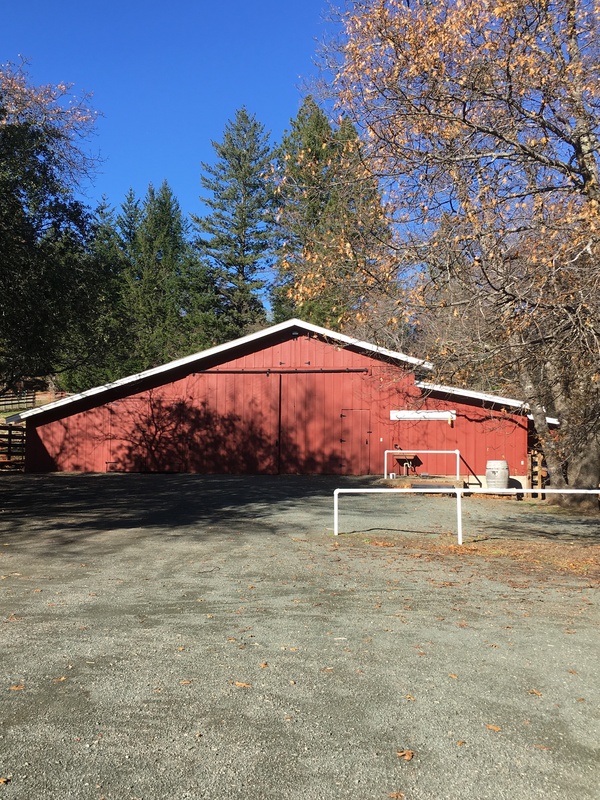 Held every February at the Mendocino County Fairgrounds in Boonville, the event brings together producers of Riesling, Gewürztraminer, Pinot Gris, Pinot Blanc, and Muscat from around the world. The event always kicks off with a morning educational seminar that often includes technical information on growing and producing Alsace varietals led by fermentation science professors from UC Davis, tasting flights, and sessions on food and wine pairings put together by renowned chefs, wine writers, sommeliers and cookbook authors. This year’s event will feature John Winthrop Haeger, author of the upcoming book Riesling Rediscovered: Bold, Bright, and Dry. Following the morning seminars is a cooking demonstration featuring culinary whiz and former Anderson Valley resident, Chef Francois de Melogue. De Melogue, who has worked in celebrated restaurants from Paris to New York has an affinity for the food friendly Alsatian varietals, and shares delicious recipes to pair with the wines. After the cooking demonstration, the grand tasting begins. Wineries from Anderson Valley are prominently featured, yet while local wineries represent a significant portion of the producers who showcase their wines at the festival, it is an international event, and exceptional examples of the classic Alsatian varietals can often be found from Oregon, New York, New Zealand, and, of course, Alsace itself. The grand tasting is accompanied by a profusion of classic food pairings for the wines, such as oysters, glazed pork belly, tarte flambeé, and choucroute alsacienne. While the grand tasting ends at 4:00 p.m., the festivities continue well into the next day. In the evening, some restaurants and wineries offer winemaker dinners or special menus to pair with Alsatian varietals. This year, the Anderson Valley luminaries at The Apple Farm will offer a locally sourced organic feast to pair with Alsatian varietals, while Scharffenberger Cellars is presenting a private dining experience with the winemakers. 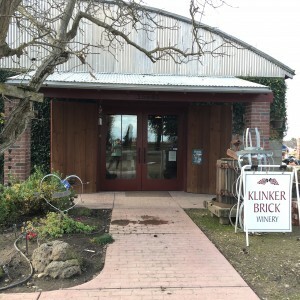 On Sunday, many of the local wineries open their doors to the public and provide food, music, special offers on wine, and an all around good time. For anyone looking for a memorable wine experience, The Alsace Varietals Festival in Anderson Valley is not to be missed. This entry was posted in Events on January 6, 2016 by Kareasa. These days Napa Valley is hardly synonymous with anything but Cabernet. Indeed, California’s most famous wine region has come to rest its laurels on its lush, powerful rendition of the Bordeaux varietal that has dazzled and delighted the critics and the masses. 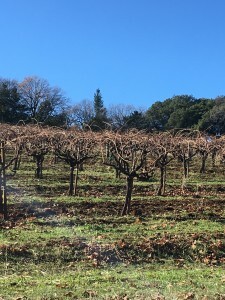 While a multiplicity of grape varieties once graced the slopes of Napa Valley, grapes considered “less noble” are constantly being uprooted for new plantings of the big money-maker. With the average Napa Valley Cabernet bottling being well-over $50/bottle, and ultra premium “cult” wines commanding astronomical prices, it’s no wonder that many producers hardly dabble with alternatives beyond perhaps a Bordeaux-style blend or a white offering. 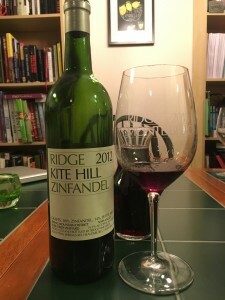 Needless to say, I was surprised at ZAP 2015, the annual Zinfandel Advocates and Producer’s grand tasting, when the Zinfandels that stood out most to me, came not from the usual suspects in Sonoma’s Dry Creek Valley and Russian River Valley (though there were a number of stars from those regions), but from a small vineyard within Napa’s Howell Mountain AVA, the Black Sears Vineyard. Howell Mountain is no exception to the Napa Cab craze. With names like Dunn, CADE, O’Shaughnessy, and Robert Craig, this AVA is clearly prime Cab country. 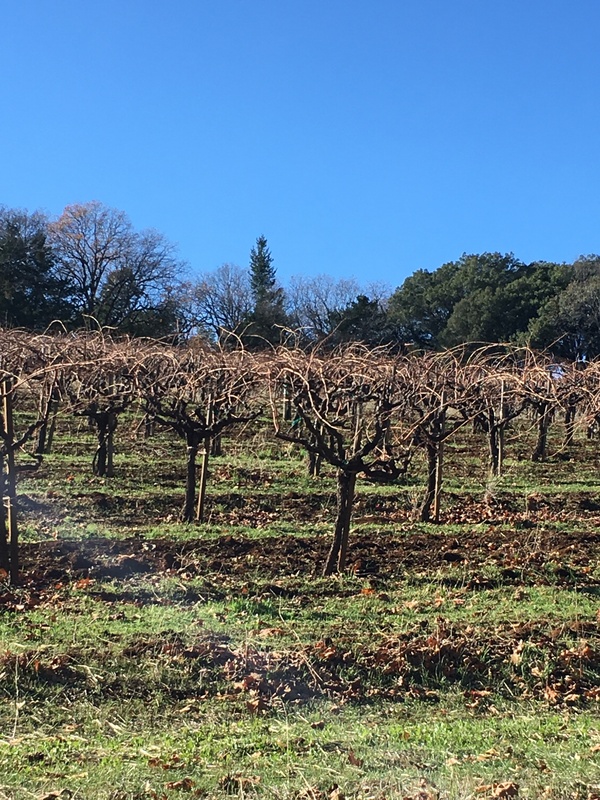 Yet at the very tip top of Howell Mountain is a vineyard where Zinfandel shines just as bright as any of the brilliant Cabernets. 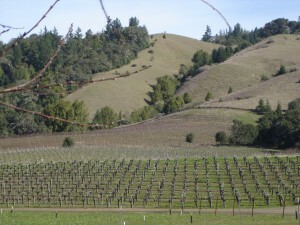 The Black Sears vineyard, owned by Joyce Black and Jerre Sears is situated 2500 feet above the valley floor, and its unique geography and well-tended vines are generating some of the most distinctive Zins in the world. 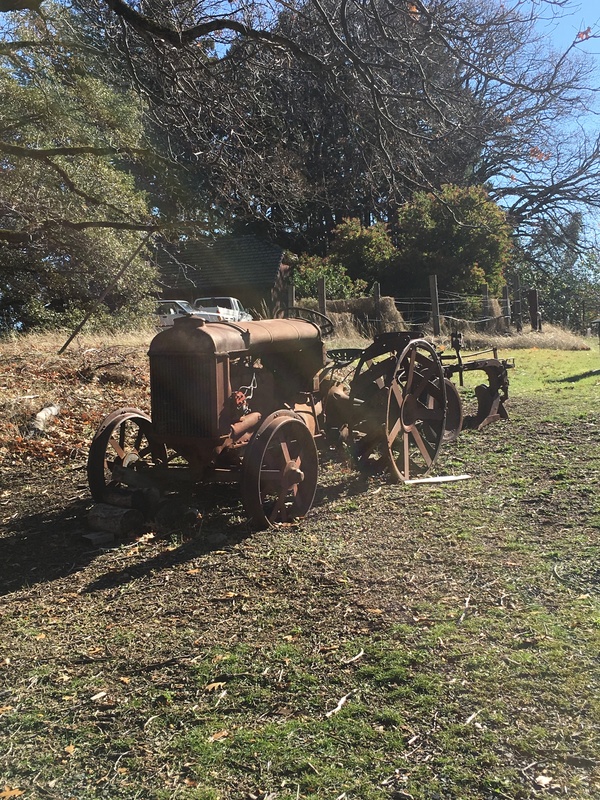 I recently had the pleasure of speaking with Chris Jambois, Joyce and Jerre’s son-in-law, who, along with his wife Ashley, oversees much of Black Sears’ vineyard maintenance. 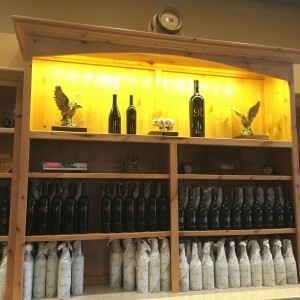 Chris shared some of the reasons he believes Zinfandels from Black Sears Vineyard are so special. “This vineyard has so many unique soil types that professors from UC Davis and other top research universities are always coming to study it,” says Jambois. “We’re above the fog line, which produces warmer nights than are seen on the valley floor, though the growing season usually starts a good 2-3 weeks later than the rest of Napa, and our Zins tend to be among the last to come in during harvest. Our Zins are dry farmed, and the wines that come from this vineyard are always incredibly complex and spicy. You get a lot of black and white pepper notes that you don’t find in Zins from other regions.” Jambois poured us a sample of the 2012 vintage, which was deep and brooding, and highlighted these qualities. 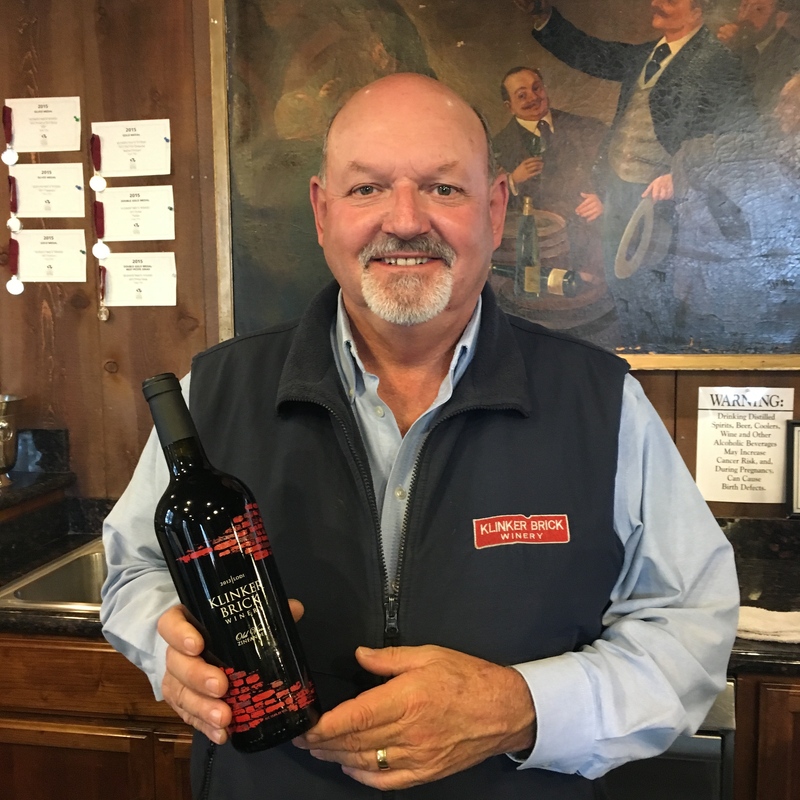 The Estate Zinfandel is crafted by winemaker Thomas Brown, who took over the reigns after Ted Lemon left in 2006. Yet as exceptional as the Black Sears Estate Zin is, the quantity is limited. Of the 24 acres of grapes planted at Black Sears, only 17 are planted to Zin, and Jambois notes that they sell 75% of their fruit. Top producers such as Turley, Robert Craig, and T-Vine all have Black Sears Vineyard bottling of Zin. 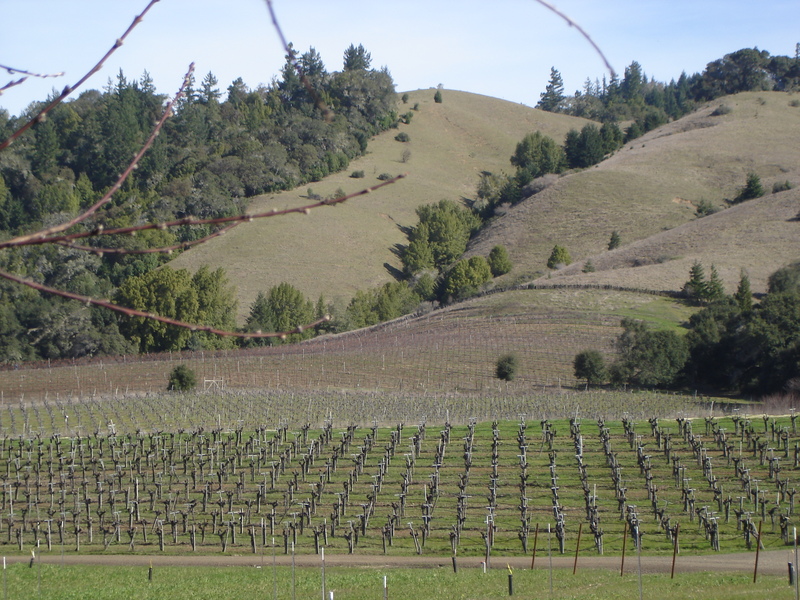 The vines at the Black Sears Estate are tended using biodynamic methods, and Jambois remarks that since they began farming this way in the early 2000s, buyers have really noticed improvements in the health of the vineyard and the quality of the fruit produced. This is important, particularly with Zinfandel, which can be difficult in the vineyard. 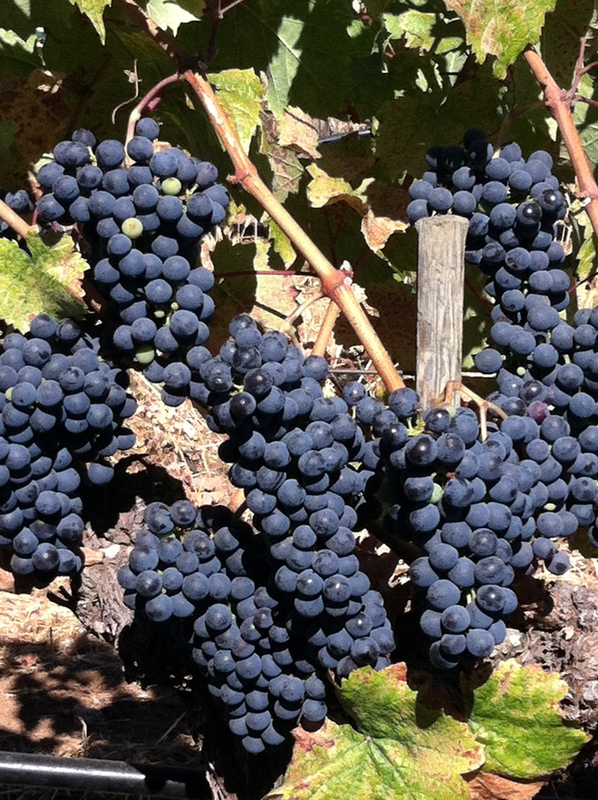 “Zinfandel is a true artist’s grape,” says Jambois. “A lot of people talk about Pinot Noir being so challenging in the vineyard. But the same could be said about Zin. It’s a notoriously uneven ripener, and it’s prone to botrytis. 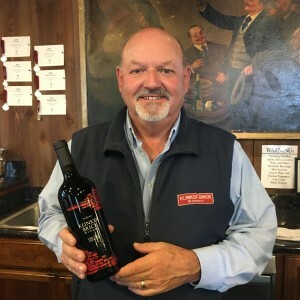 It’s really difficult to make a complex Zin, and only the true artists are successful at it.” He also seeks to dispel common myths about the grape. “There are a lot of myths about Zin—that it can’t be complex or elegant, that critics won’t give it more than 95 points.” Yet as the Black Sears Estate is demonstrating, when grown in optimal conditions and crafted in the hands of caring individuals, Zinfandel can be nothing less than extraordinary. This entry was posted in Grape Varieties, The Wine Road, Uncategorized, Wine Regions on January 5, 2016 by Kareasa. Pistachio Crusted Chicken with Mustard Herb Cream Sauce is possibly my favorite thing in the world to cook. It’s one of those dishes that I no longer need a recipe for because I’ve made it so many times. The first time was with my good friend Jenny when I was a junior at UC Santa Cruz. I lived in the newest apartment complex on campus which was well-equipped with a big kitchen. 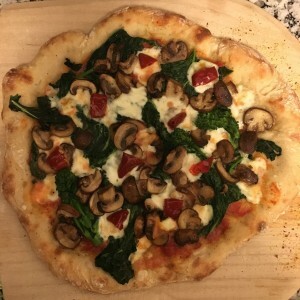 Jenny and I had just discovered epicurious.com, and we loved trying out new recipes. This one was a hit, and since then I have cooked it for friends from New Mexico to Panama, and it usually finds its way to my dinner table at least a couple times per month. While there are a number of crisp dry white wines that go well with this dish, my favorite is New Zealand Sauvignon Blanc. Who doesn’t love New Zealand Sauvignon Blanc? It’s like the loveable puppy of the wine world. It’s so easy to drink, so vibrant and pleasure-inducing, that it’s hard not to drink a whole bottle at one sitting. The wine I chose tonight was Fire Road Sauvignon Blanc from the Marlborough region of New Zealand. This is a great bargain wine that my husband and I often buy by the case. It’s vibrant acidity and lovely passion fruit and gooseberry notes are a delicious welcome to any dish that requires a dry white wine. It works particularly well with the pistachio crusted chicken as the racy acidity cuts through the creaminess of the herb sauce, and the fruit flavors complement the pistachios and herbs nicely. 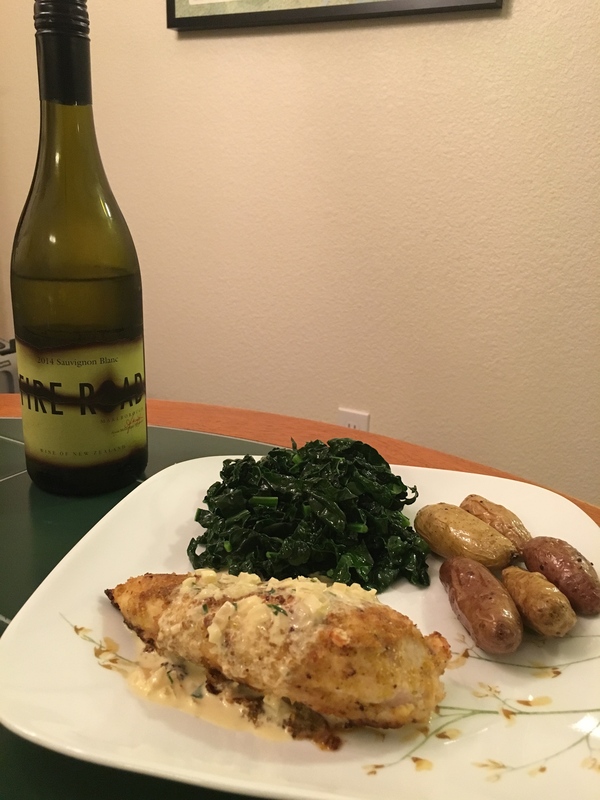 This meal is fabulous served with a side of roasted potatoes and sautéed greens, and matched up with the Fire Road is bound to put a smile on anyone’s face. This entry was posted in On The Table on December 12, 2015 by Kareasa.